Now that a three-year mission to stage a grandiose 100th anniversary celebration for Balboa Park has failed, a new team of civic leaders is working to put on a much more modest party in 2015. Centennial re-organizers are focusing on showcasing the park's world-class museums and institutions. "We will not promise kings and prime ministers, or a $30 million or $100 million party,” City Council President Todd Gloria told reporters at a Friday morning news conference in the park’s centerpiece Plaza de Panama. “But we will promise we will deliver an experience that will bring San Diegans back to the park and set up the park for success for another 100 years." Said Mayor Kevin Faulconer: “The celebration is about honoring the 1915 Panama-California Exposition that put our city on the world map." Where Did Balboa Centennial Money Go? All that, in apparent contrast to the original approach taken by the Balboa Park Celebration Inc., a non-profit that drew heavy criticism for mismanagement and great expectations that didn't pan out in the fundraising arena – a fact that its principals didn’t disclose until recently. BPCI is winding down with a balance sheet that showed less than $600,000 left in the bank as of Jan. 31 of the $3,069,461 they were given, and observers say close-out costs may reduce that amount considerably. The re-organizers – who include longtime activists in the Balboa Park Cultural Partnership – say approximately $280,000 in BPCI funds that went to the ten of the park’s two dozen “stakeholder” museums and institutions was invested early and smartly in their centennial programs. "Those efforts are ongoing, and all make up part of what we're doing in 2015, so that's salvageable,” Gloria observed. “There may be other things. But not all is lost. And some of it will be going forward under the cultural partnership's institutional-level programming." Plans call for this year's "December Nights" to kick off the 2015 festivities, which will feature spring and summer "signature events" yet to be announced. The celebration’s end will be marked by next year’s “December Nights." On the financial front, the Balboa Park Conservancy and Tourism Authority will be stepping up with fundraising and room tax allocations. San Diego Gas & Electric will handle the lighting and power arrangements. Still, despite talk of allocating funds toward upgrading the park’s facilities, community activists say the city has been unable to make a serious dent in an estimated $250 million worth of deferred maintenance. They expect more real action than lip service by the time 2015 rolls around. 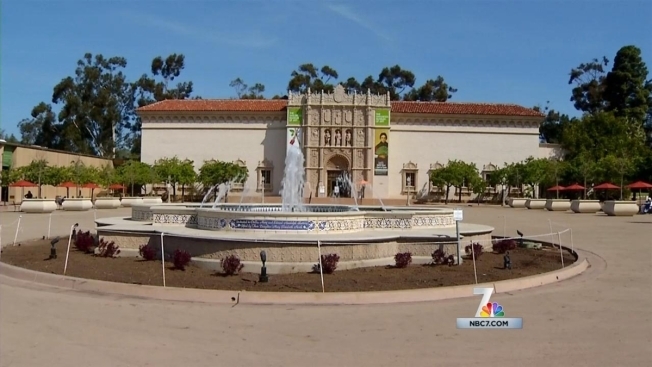 What's Next for Balboa Park Centennial? Meantime, BPCI’s spending, documents and activities are now under scrutiny by the offices of the city auditor and city attorney, with an April 23 hearing set before a City Council committee.